Cornmeal has never been a band to shy away from reinvention and after over 15 years, they are proving just that as the band sets out with a reformed lineup, fresh energetic sound and a long awaited first studio album in over 9 years. 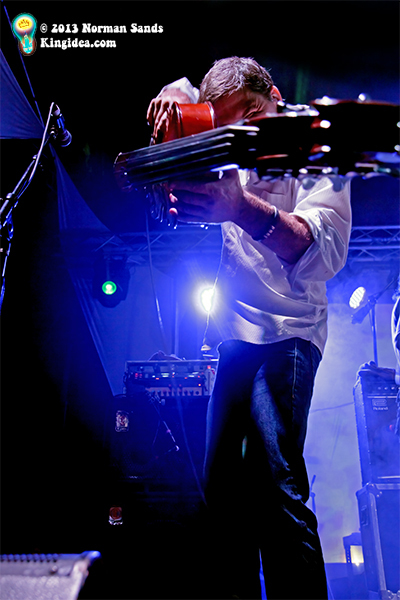 A nationally recognized live music institution, Cornmeal is heavily influenced by American roots and folk music and seamlessly blends lightning fast tempos and impeccable harmonies into an unrivaled live performance that continues to expand upon the five-piece acoustic-electric groups’ vast musical repertoire. While steeped in the tradition of the past, Cornmeal continues to forge a path all their own, pushing the boundaries of bluegrass, Americana and folk for a whole new generation of music lovers. With a growing fan base and ever-evolving sound, Cornmeal challenges the recipe of bluegrass and live performance. With the release of their debut album “In The Kitchen” (2001 Livin’ Live records), Cornmeal secured its place as one of the top bands in its genre. 2003’s “Tales from Magic Stone Mountain” (Livin’ Live records) garnered much critical attention and became a staple on College and AAA top 10 lists throughout the country. In May of 2006, Cornmeal released their third album, “Feet First”, which became proof positive that Cornmeal’s tenure on the road brought on an honest and mature sound. Produced by former guitarist Kris Nowak and bassist Chris Gangi, “Feet First” features a strong confidence in songwriting, musicianship and the ability of this band to stylistically ride the fence and bring it back home without missing a step.